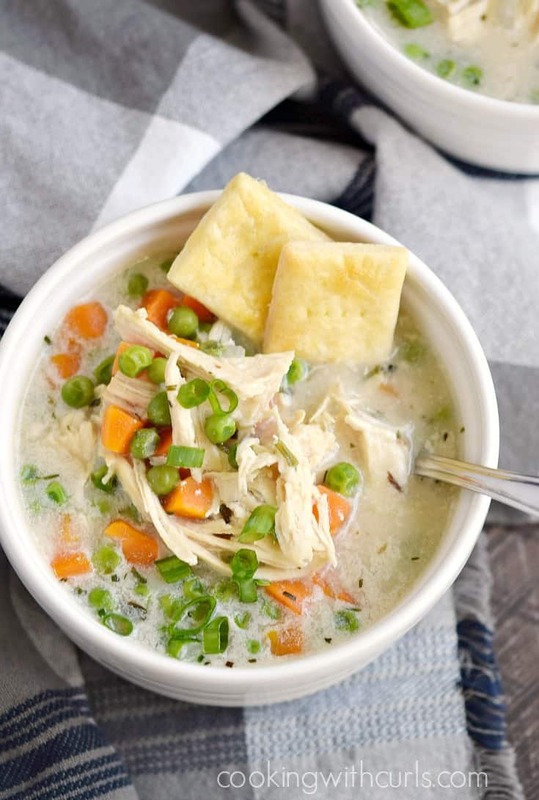 You are going to love this fun and delicious Instant Pot Chicken Pot Pie Soup! 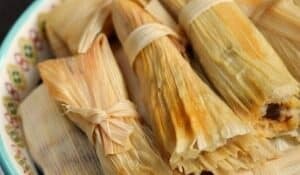 It’s fast, filling, and a great way to warm up on cold winter nights. I can’t believe I just said that in the middle of August, but we all know that winter will be here before we know it. We may as well embrace it and start building a collection of yummy recipes to get us through….. Okay, enough of that, let’s get this soup started!! 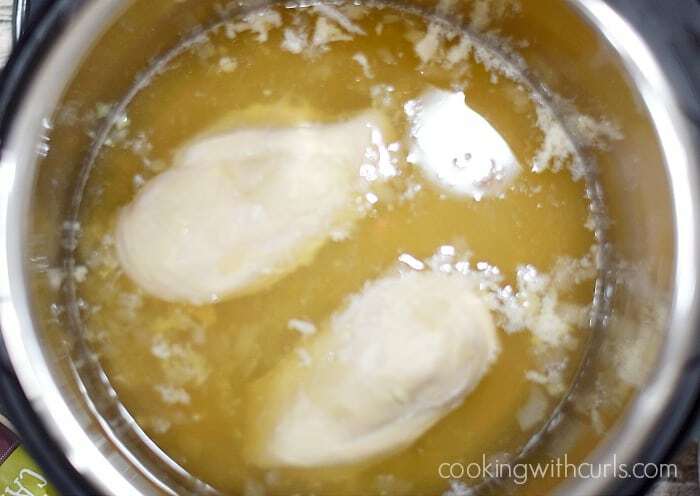 Place the chicken breasts, chicken stock, chopped onions, and garlic into the liner of your Instant Pot….. Secure the lid and make sure the venting knob is in the Sealing position. 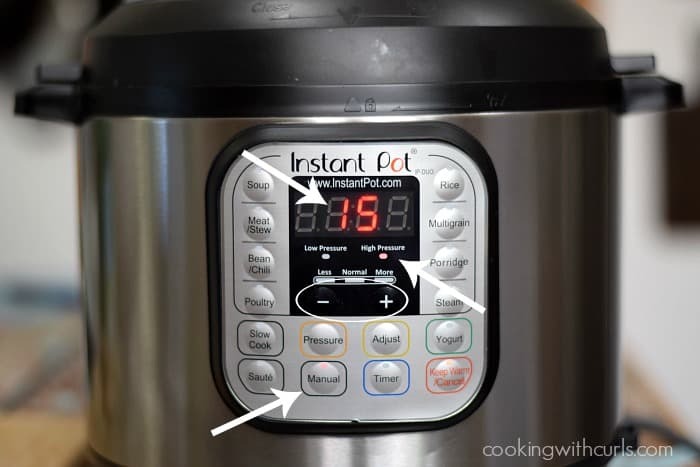 Press the Manual button, on the High Pressure setting, and adjust the time to 15 minutes using the – and + buttons….. When it beeps allow the pressure to release naturally for 10 minutes, then turn the knob to release the rest and remove the lid….. Remove the chicken and place on a plate to shred. 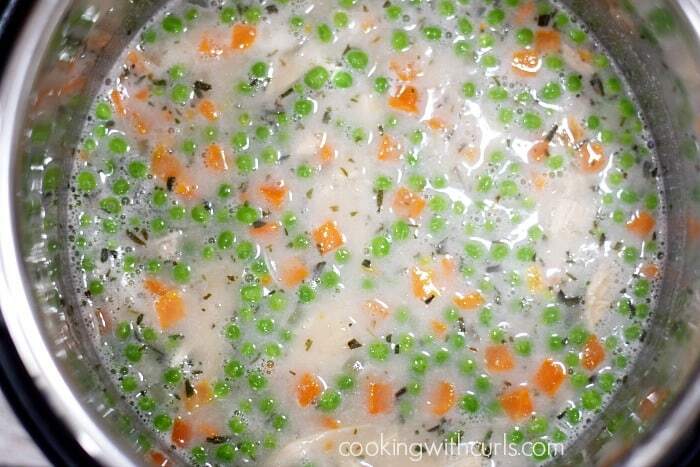 Skim the excess fat off the top of the chicken stock and add the peas, carrots, and tarragon…..
Stir to combine. We are using the residual heat to heat the vegetables. Whisk the warm milk with the flour in a small bowl. Press the Cancel button, then the Saute button. Add the flour mixture to the pot and stir to combine…..
Continue stirring until the soup starts to simmer and thicken. Adjust seasonings if necessary and serve…..
Sooo yummy!! I used the exact same ingredients and seasonings as I use in my Chicken Pot Pie. If you do not like tarragon, substitute thyme or any other herb of your choosing. If you use whole milk or cream, your soup will be much creamier and thicker than mine. CashewMilk does not have the same fat content and breaks apart more than regular milk does. I have used canned Coconut milk in the past, but it is still thinner than using heavy cream or whole milk…and tastes like coconut. 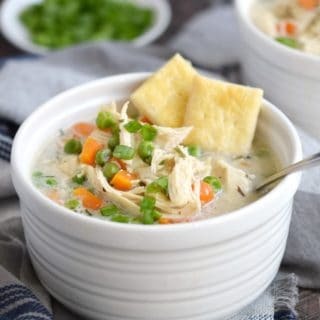 You can use frozen chicken breasts in this recipe, it will just take longer for the pot to come up to pressure. The cooking time is the same!! I always use frozen peas and carrots. You can substitute fresh, but you will need to cook them under pressure for a minute or two to soften/cook them. My two chicken breasts weighed one pound. If yours weigh less, you will need to adjust your time, about 1 minute per ounce. I cut my Pie Crust recipe in half to make my Pie Crust Crackers if you would like to make them before I get that recipe posted. I cut them into 42) 1 1/2-inch squares, but any shape will work,. I brushed them with an egg wash, poked them with a fork, and baked them for 25 minutes at 350 degrees (Each oven bakes differently so I would check them after 15 minutes just to be safe)….. 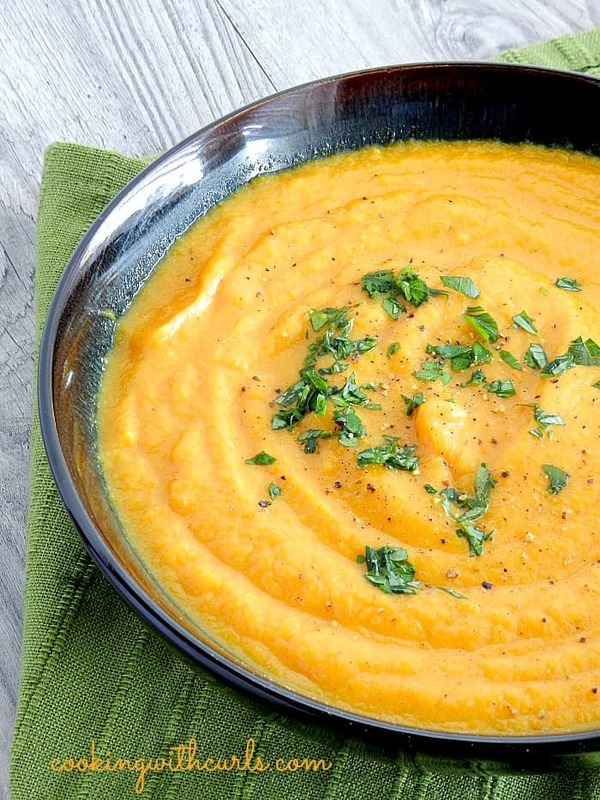 This Creamy Carrot and Cauliflower Soup is perfect for Fall weather, and also Paleo & diary-free but not Instant Pot ready….. 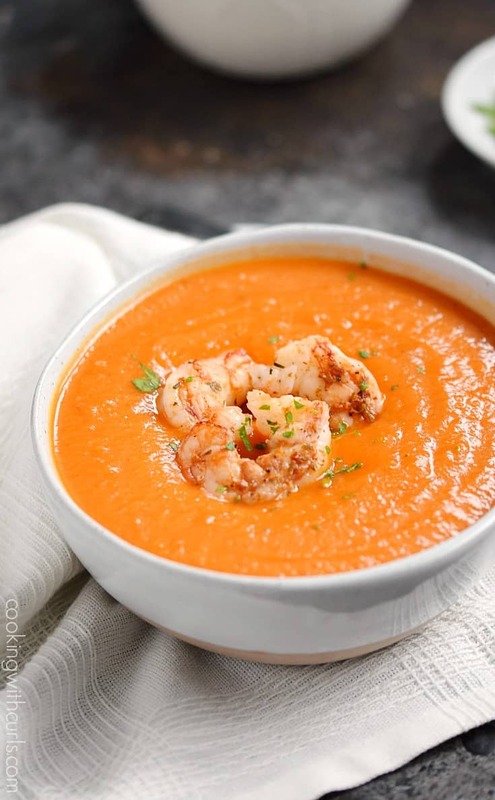 This Roasted Red Pepper Soup with Grilled Shrimp is still one of my absolute favorites! 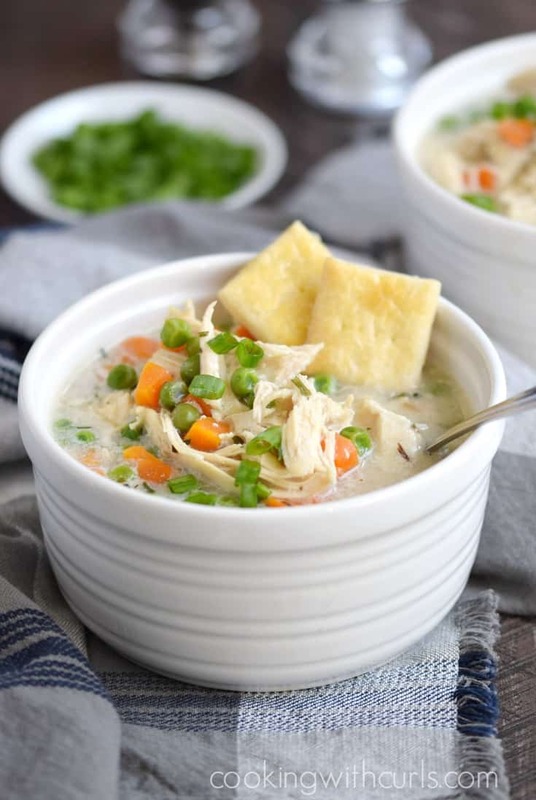 You are going to love this fun and delicious Instant Pot Chicken Pot Pie Soup! 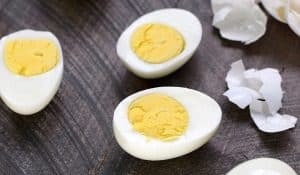 It comes with dairy-free and Paleo options to make it healthy as well. 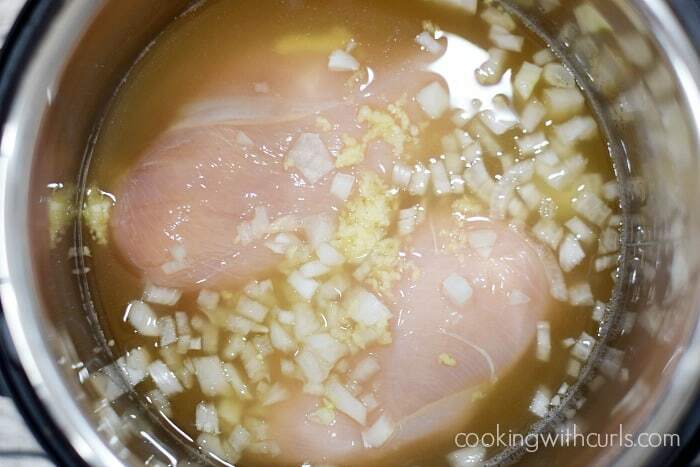 Place the chicken breasts, chicken stock, chopped onions, and garlic into the liner of your Instant Pot. Secure the lid and make sure the venting knob is in the Sealing position. Press the Manual button, on the High Pressure setting, and adjust the time to 15 minutes using the – and + buttons. When it beeps allow the pressure to release naturally for 10 minutes, then turn the knob to release the rest and remove the lid. 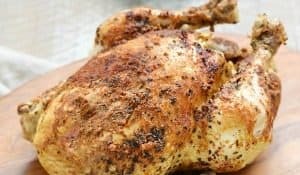 Remove the chicken and place on a plate to shred. 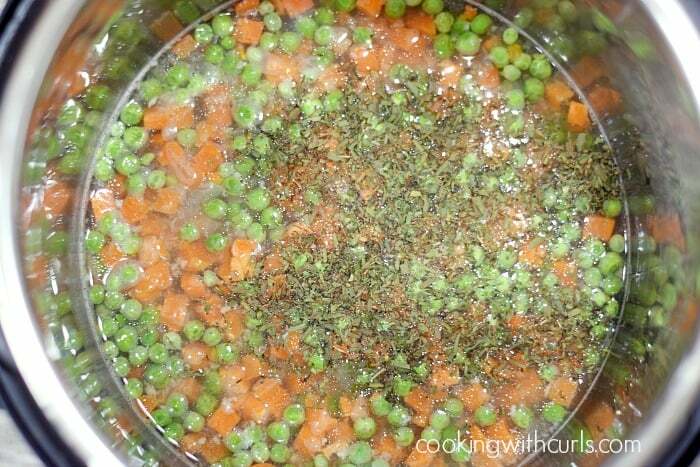 Skim the excess fat off the top of the chicken stock and add the peas, carrots, and tarragon. Whisk the warm milk and flour in a small bowl. Press the Cancel button, then the Saute button. Add the flour mixture to the pot and stir to combine. Continue stirring until the soup starts to simmer and thicken. Adjust seasonings if necessary and serve. I noticed in your recipe, you don’t say when to put the chicken back in the pot. Or, did I miss it somewhere??? 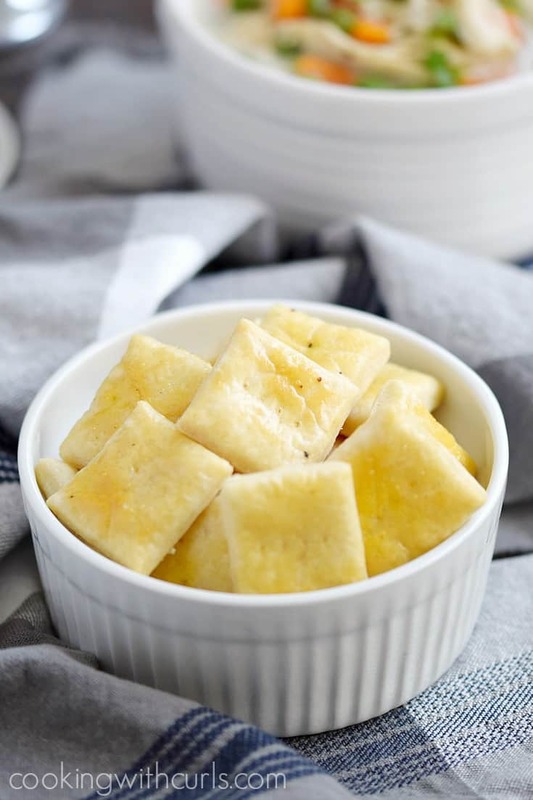 At what temp do you bake your pie crust crackers? ?